This modern marvel will add unsurpassed style to any backyard or outdoor patio. 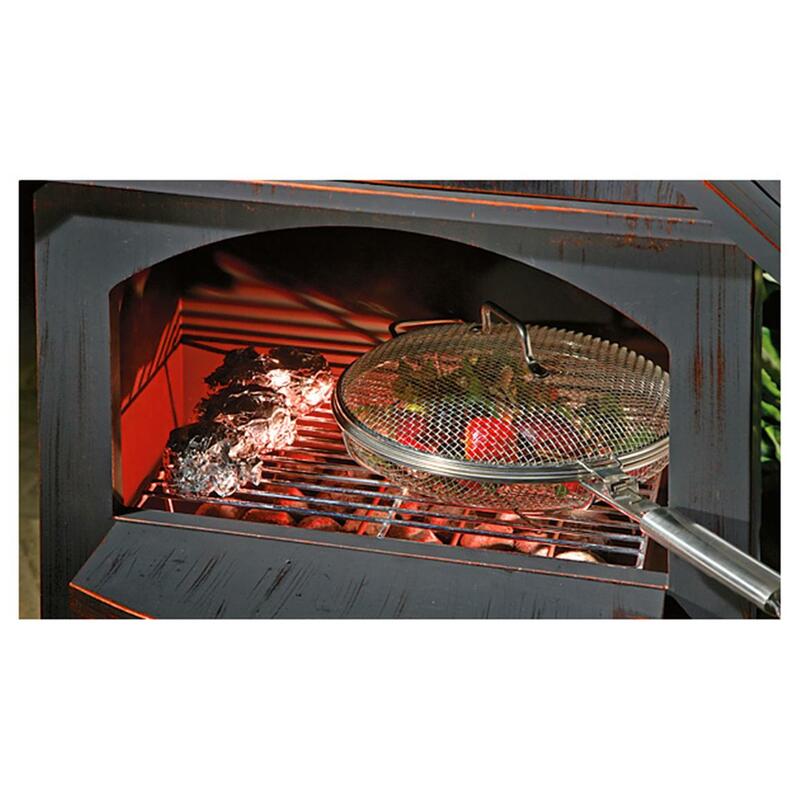 It boasts an adjustable, removable cooking grate, perfect for brick-oven style outdoor grilling. 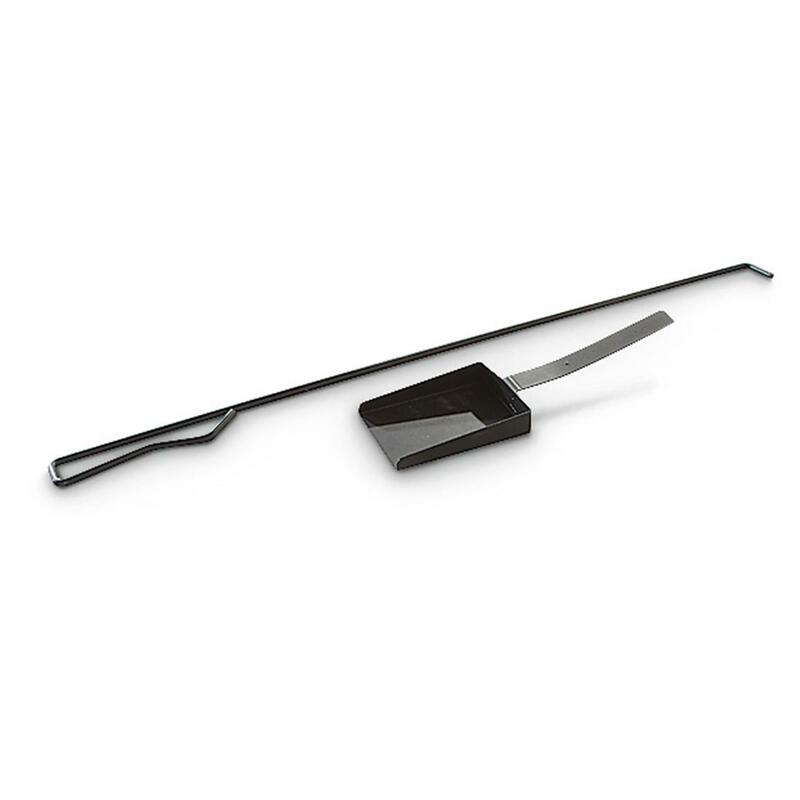 Steel construction with high-temperature painted finish can handle your choice of cooking fuel, so go ahead and fire it up to cook meat, potatoes, fish and more. Traditional design has roots that date back over 400 years. Chimineas were developed hundreds if not thousands of years ago by Mexican tribesmen. It was a rain-protected source of heat, as well as a vessel for cooking and baking. 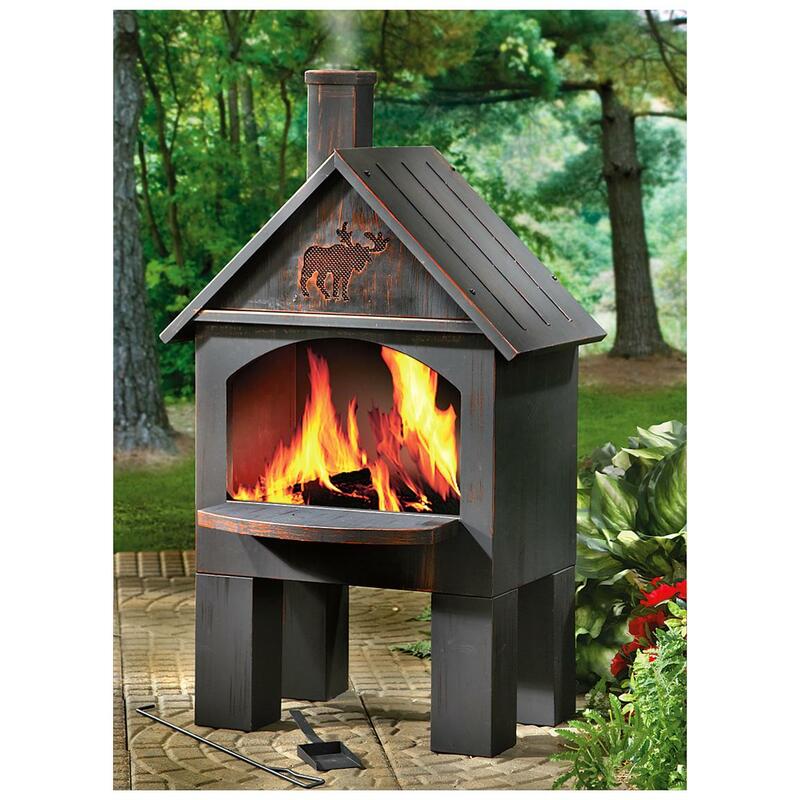 Now you can own this charming CASTLECREEK® Chiminea offering a smart cabin style, complete with a smoke stack. Measures 20" x 25" x 43"h.
Get your Steel Chiminea now and get cooking. Dimensions: 20" x 25" x 43"h.
CASTLECREEK Cabin Cooking Steel Chiminea is rated 3.6 out of 5 by 49. Rated 5 out of 5 by Dave J from Grteat product for the price! This a well designed and easy to build little outdoor fireplace! 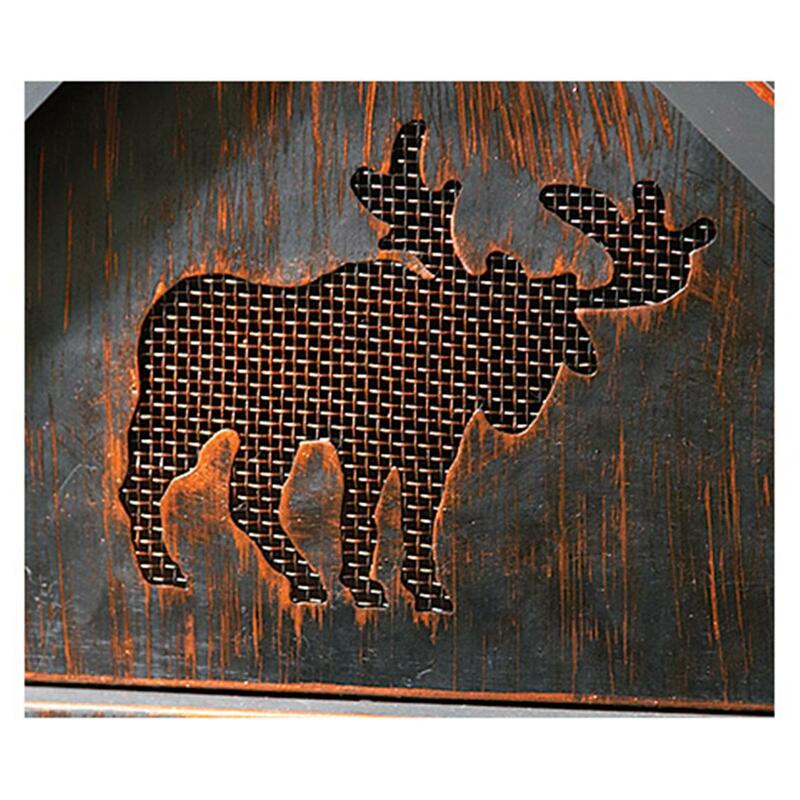 I really like the "moose" cutout. The whole family is enjoying backyard fire pit time, and I'm looking forward to cooking on it as well. It will really throw off the heat on the cool fall days ahead. Purchased when it was on sale for an added bonus. I love it. Rated 3 out of 5 by wolfe 1914 from good price and exceptional delivery Unit was easy to put together. The legs should have two screws not one and a pin. This makes it very unsteady. the roof and heat stack had to be sealed with a high heat morter. There were just to many gaps. It could have been taller, this would have been much easier to use. A drain hole had to be put in the bottom for draining. Rated 1 out of 5 by cjfett from Bad Chininea Not steel, cheap tin, holes misaligned, wrong tap threads on the chimney, one wing nut lost it's wing, and bent tin roof panels. I didn't return it due to the hassle of re-boxing and shipping, so making do for this season and will throw it away in the spring. If I were Sportsman's Guide I'd cancel the contract with the manufacturer. Rated 1 out of 5 by Doc 1 from Poorly built, cheap lightweight Don't expect to last, will burn out fast. Lightweight metal! Rated 5 out of 5 by duckman from light duty, but great price, only need for a couple times a year use. looks to pass needs haven't used yet. next holiday will most likely enjoy. recommend putting a piece of fireplace ceramic or thick steel on bottom to assure long term use and don't leave out in the weather long term. 12 compartments, each is 6" x 9"
Welcome all martins to this well-crafted House.